This entry was posted in Colombia and tagged blogsherpa, Bogota, Colombia, rtw, South America, travel. Bookmark the permalink. oh no – not the post i needed to read while contemplating heading to colombia. I’m hoping that’s just bogata – please tell me that it gets better. I spent my first week in Bogota, and wasn’t especially impressed. A Colombian friend and I were just discussing the city yesterday – the weather is often dreary and rainy, it’s BIG, and the main tourist draws like the square you saw aren’t much. But when I took that 25-minute flight over to Medellin, and took the bus down into the valley on a beautiful day with the downtown streets buzzing with people, well, it was a COMPLETELY different impression. A week turned into two, and then three, and here I am 6 months later, in love with the place. But there’s more to Colombia than the big cities like salsa-capital Cali and romantic Carribean Cartagena. The small pueblo towns, national parks, and undeveloped Carribean beaches (Taganga and Parque Tayrona) are suppose to be great too. Frankly, I didn’t visit any because I was so content with my experiences in Medellin. And I know I’ll be back for the rest. PS – be sure to connect with couchsurfers – search for “drink/coffee” because a lot of them can’t host travelers as they live with their families. Some of my BEST memories and best friends here resulted from couchsurfing connections. My girlfriend has been raving about Colombia after spending two weeks around the area of Cartagena. 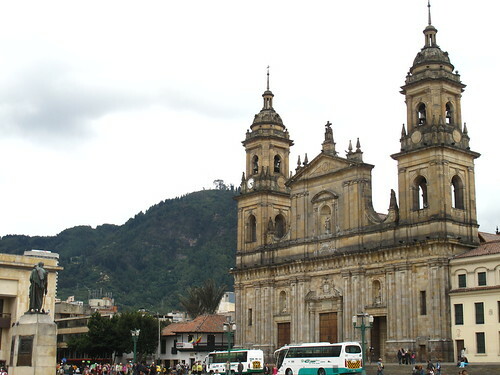 Doesn’t seem like Bogota has that much to offer, but don’t let that put you off. If all I’ve seen of Costa Rica was San Jose I would definently not think much of it either… I would then have missed out on some of the best travel experiences on my trip! You should have stayed in London, or wherever. It seems to me you were looking for the wrong things. You don’t go to another country expecting to see what you have at home. 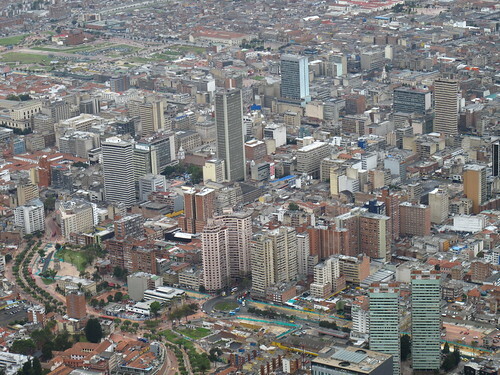 If you think Bogota, and the other Latin American capitals are ugly you have no idea what ugly is. It’s your opinion, and I’m sure no one cares. People who have gone to Colombia with an open mind, trying to see the good things, have a totally different notion. By the way, those who really know how to travel are aware that the Capital cities never reflect what the real countries are. Did I say anywhere in there that I was expecting to see what I have at home? If you actually bother to to read any of my other posts you’ll see that I have a very open mind about travel, in fact Bogota is pretty much the only place I’ve visited so far that I haven’t liked, and as I said in the post I’m going to go back and give it a second chance. Seeing as I live in a capital city myself, I’m fully aware that capitals are normally very different to the rest of the country. I’ve been to many, and Bogota is the only one I haven’t liked. Stop being so sensitive and patronising and accept that everyone is different, and it’s inevitable that not everyone is going to like everywhere. 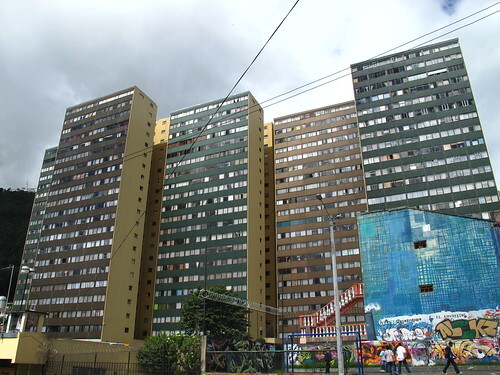 You generalized: “Latin American capital cities are frequently ugly and even the nicer ones still have plenty of ugly bits”. Of course. Like ANY other city in the world. Of course, they are ‘third world countries’, remember? you can’t expect everything to be perfect. It would be nice to know if you bothered to visit The Gold Museum, Monserrate or the incredible Salt Cathedral (unique in the world), just to mention few places. Did I ever say I expected things to be perfect? And I’m sorry you don’t like to hear it, but I’m afraid that I found Bogota far uglier than average for a capital city, and the nice looking bits really weren’t nice looking enough to make up for that, for me at least. And yes, I did go up Monserrate, which had a lovely view, but I found the gold museum not to my taste. To Bogota’s credit, I absolutely adored the Botero museum, which I’ll be blogging about on my next post about Bogota, when I return at the end of the month. I was trying to explain that the Salt Cathedral is unique not because it’s a salt mine but because it’s a real Roman Catholic Church built inside of a salt mine. In support of Geoff it is almost refreshing to see a blog post about something else than complete and utter praise for a destination. I agree, the trick is to stay in the moment, take in information, but in reality, don’t put much emphasis on what other people are saying. Mostly, people are affected from the tourist industry that plays upon fantasy. By the way, this safety/danger perception is BS also, everybody thought I would be in danger in the Middle East, and that preconceived perception is false. The uniqueness of the Salt Cathedral lies in the fact that it is a REAL Roman Catholic Church that conducts religious services periodically. Yes, so is the one in the salt mines in Poland. Pope John Paul II said mass there when he visited. They built a statue out of him made of salt, too. So, like I said, not unique. BTW, when my grandfather was very sick at home, a priest came and said mass at his home. I don’t think that made my grandpa’s house a church. But who knows.. maybe it is and we don’t know. This is a real story but I was just trying to smooth things over..:-) I’m smiling. I’d never block anyone. I’m more than happy for people to come here and disagree with me, nothing wrong with a spot of lively debate. Hi, a tip for next time you are in Bogota – try dancing salsa like the locals in club/restaurant Andres Carne de Res (andrescarnederes.com). Maybe all is not as the same way other people see. to see many pictures of Colombia and other countries and decide by yourself with another point of view. As a fellow Brit, going to Colombia and staying in Bogota is like going to England and staying in Hull! I stayed in Medellin, Cartagena and San Andres which are much more fun…. Bogota for me was just the entry into the country, even Colombians themselves would say Bogota is gray, dull, cold, sad. Medellin and the other cities I visited were sunny, tropical, colorful, pretty, exciting! I enjoyed them much more.